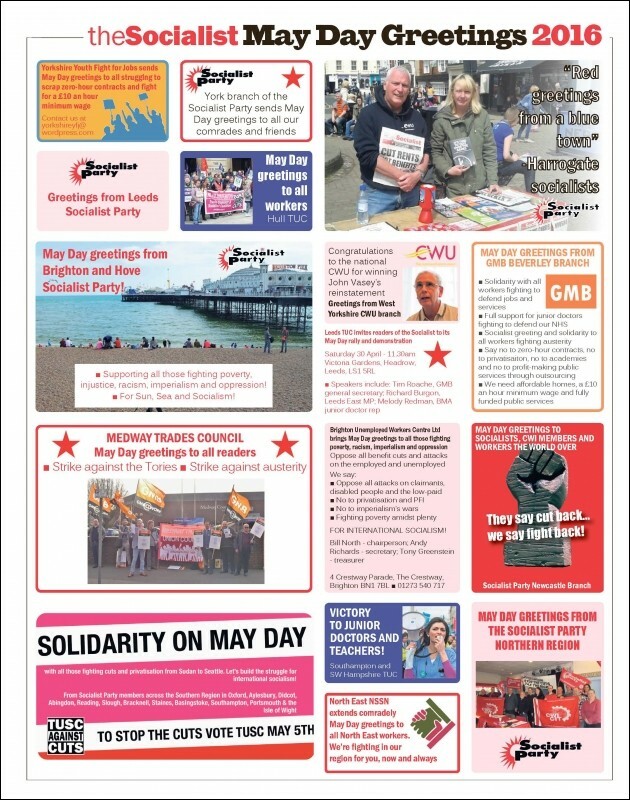 Celebrate the struggles of workers and the oppressed this May Day by placing a greeting in the Socialist. One hundred years ago, the workers' movement threw aside capitalism and took power for the first time. The Socialist believes the Russian revolution is the greatest event in history - yet. We have been instrumental in putting forward a political and industrial strategy to beat the bosses and their system of crisis, inequality and war. Help us build the movement which can achieve it. May Day greetings help fund the best workers' newspaper in England and Wales. Build for a greeting from your workplace with a petition sheet? Propose a motion for your next union meeting agenda? Send greetings from your university society or campaign group?